Luck Media – Life as a photographer and loving this new life! 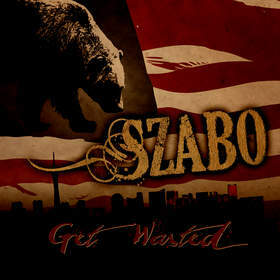 With influences ranging from Jazz fusion to 90’s alt rock, Szabo strives to create a musical landscape comprised of relate-able lyrics and infectious grooves. Szabo engages audiences with crowd pleasing tunes and a dynamic on stage presence. Comprised of drummer Austin Perry, keyboardist Andy Vieluf, bassist Gary Coveney and lead singer/guitarist Elliot Szabo, the members of Szabo hail from a wide range of musical backgrounds and accomplishments. In support of Elliot Szabo’s first solo project effort, Between Two Points on a Map, the group did short stints on the road as well as opening for national acts in their home city of Las Vegas. And now a year and a half later, the band Szabo is born, playing fan favorites from Between Two Points on a Map, along with new and innovative songs that fans will soon grow to love. Szabo is now out of the studio finishing up their first EP together! This four song EP is easy on the ears. They have a laid back sound but also have powerful vocals from Elliot. His vocals are pleading, the lyrics are brooding and full of life and the melodies are catchy. “Get Wasted” is a song about drug/alcohol addiction. With lyrics like “Go get fucked up on your own time/Don’t you dare waste mine as well/Go get wasted in the corner/By yourself”. That pretty much sums up the lyrical side of the song. The melody is constructed well in this song – it flows from the verse to the chorus and back again. “Pretty Good Kids” has a pleasant musical opening and is in the same vein musically as “Get Wasted”. Laid back, catchy and melodic. Lyrically, this song is about a longing to be anywhere but the place you grew up in. I can relate to this as I moved from Ontario to British Columbia. I had a yearning to be somewhere completely different. I had never been to any of the Western Provinces so it seemed like a good idea. And its worked out well for me. “Where to Start” is a bit slower paced and opens with a piano. This song is sparse on lyrics but the song stands well in the EP. Lyrically, this is a song about wanting to do something you really want but you’ve no idea where to start. In this case, I suspect it’s about writing a song as the fist line of the song is “It’s never easy looking down at blank paper”…..
“Minnesota” is a song about a long lost love. It could be a woman, man or a place. It’s also about feeling lonely and down at night and no one you know realizes you are lonely. I can really relate well to this. I don’t feel lonely every night but once in a while…. Musically there is a lightness to the song until it hits the end of the chorus where it goes off the charted melody into minor keys which give it a weird and uncomfortable feel. It’s also full on with vocals that seem to slide down through the melody. I like that effect as it works really well in this song. 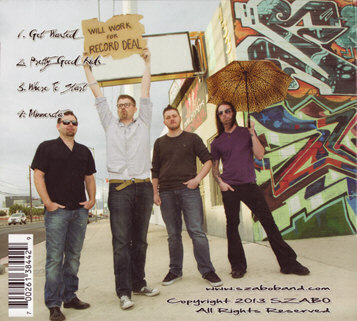 This EP was recorded at Battleborn Studios in Las Vegas. It was recorded and mixed by Rob Root and mastered by Mike Houge. The album design is by keyboardist Andy Veiluf with the cover art by Daniella Toscano. All photography by Lawton Howell and Ski Basham.